Yoosuf is Client Director for Duke CE Asia, based in the Singapore office. He works with the Duke CE team in the Asian region to develop and nurture new relationships with organizations to support their future growth opportunities and challenges. 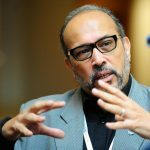 Prior to joining Duke CE, Yoosuf was the Regional Director, Leadership Solutions, Asia-Pacific for the last 7 years at the Center for Creative Leadership in Singapore where he was involved in business and country development through working with organizations across the region to develop a range of custom, open-enrollment, coaching, digital and licensed leadership solutions. Yoosuf previously held positions with two other leadership development organisations in client relationship roles. He was also the Global Head for Learning & Development for an international maritime petroleum logistics company where he supported the group’s employee relations, leadership development, performance management and succession planning initiatives. His earlier career stops included the Singapore government, television media and an internet start-up. Yoosuf has worked with many well-known MNCs, family businesses and government organizations across the manufacturing, pharmaceutical, financial, oil and gas services. He has engaged with a diverse group of clients, colleagues and partners who have provided him with a diverse perspective, experience and appreciation of people. These engagements have also involved program facilitation and executive coaching. Yoosuf received his MPA in International Development from Syracuse University and his BSc in Finance & Political Science from the University of Oregon. He is Singaporean, and he and his wife Mumtaz have two daughters. Outside of work Yoosuf loves spending time with his immediate and extended family, meeting new people and socializing with friends. He loves good food and trying out new restaurants, watching movies and the arts and travelling. A big sports buff, Yoosuf follows English Premier League soccer and loves college and professional football and basketball.